Corrupt Wind-Pushing Politicians Allowing Abuse of Citizens! The number of Liberal (Australia’s once small-government, conservative, business and family friendly) Party MPs that hold a bizarre affection for these things can be tallied up on one hand. 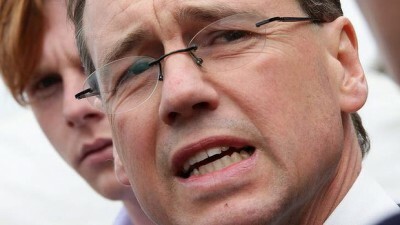 The Liberal’s King of the Wind Worship Cult is the hapless Environment Minister, young Gregory Hunt. Hunt’s office is headed up by wind industry plant, Patrick Gibbons – who, along with his best mate, Ken McAlpine are responsible for cooking up the great wind power fraud in Australia. At the time, they were staffers in the office of Victorian Labor Minister, Theo Theophanous, who with his brother, Andrew added more than alittle ‘colour’ to politics. In a cosier than cosy turn of events, Gibbons runs Hunt’s office; and McAlpine is now Vestas’ top media manipulator in Oz. How convenient! Hunt and his office are fully aware of the life-destroying consequences foisted upon the hundreds of unfortunates stuck with these things by their wind industry benefactors. 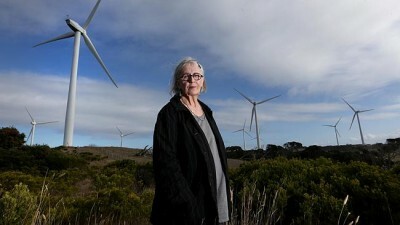 Hard-working rural people, ground down by incessant turbine generated low-frequency noise and infrasound – delivered in merciless, daily onslaughts, at places like Cape Bridgewater, Waubra and Macarthur in Victoria, Gullen Range and Cullerin in NSW, Windy Hill in QLD and Waterloo and Jamestown in SA. Hunt and his cohorts are always quick to defend their paymasters; jumping on any suggestion that their beloved ‘eco-friendlies’ could harm so much as a fly. However, try as they might, facts have an uncanny ability of bubbling to the surface; and, once there, ignorance of them is no defence. When political history is drawn, and the legacies of those involved are measured up, it’s often what the protagonists didn’t do that stains their scorecard, rather than what they did. That our political betters are fully aware of wholly unnecessary suffering is a matter of no doubt. You see, people like Greg Hunt and others, with full responsibility for the policies that saw thousands of these things speared into backyards across the country – driving people to the edge of sanity in their own homes; or driving them out of them altogether – get swamped with emails from their victims on a daily basis. Just like this tragic tale laid out by Jan Hetherington from Macarthur in western Victoria. But, before you confront what Jan has to deal with, night after punishing night (and it is confronting), take note of the who’s who list of recipients – a group that can never say that they didn’t know. Subject: my 89th formal complaint re-Macarthur wind farm. As you have been made aware, from our meeting with you in December, 2015, I am now “sensitised” by the hammering from the excessive pulsating infrasound, low frequency noise and vibration, that saturates my home day in and day out, emitted by the 140, 3MW turbines at the Macarthur wind facility. I told you about the problem I had, when I was a patient in the newly built Western Private Hospital in Melbourne, in 2015, where I experienced the same symptoms from infrasound as I experience at home, and independent acoustician Les Huson tested my hospital room and positively identified and recorded infrasound in that room. Not only am I still being hammered by this “noise” as I go about my daily routine at home, but I recently visited Portland on the 6th and 7th and 12th and 13th January 2016, to attend the Cruise ship markets to showcase my glassware. Each visit I stayed overnight in Portland with a friend, and to my horror, I experienced the same symptoms that I experience at home, from the low frequency and infrasound. 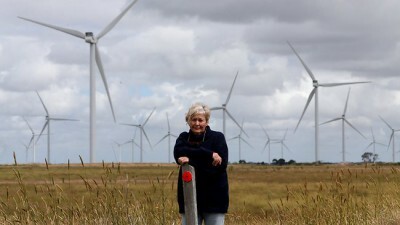 There are wind turbines on the edge of the township of Portland at Cape Nelson, and Cape Bridgewater. I experienced symptoms of sleep deprivation, palpitations, anxiety, ears aching and ringing, head-pressure and aching on the back of my head and the top of my jaws. I could hear the low droning noise of the turbines during the night. These are the same symptoms I experience at home, living near the Macarthur wind facility. At the market on the foreshore during the day, I kept experiencing “whacks” to my head, as if someone had hit me on the back of my head. These “whacks” would give me a jolt and they hurt. This excessive, pulsing infrasound, low frequency noise and vibration is a REAL problem, and I hope you have started your investigation into this REAL problem. We cannot be expected to live our lives like this anymore. I cannot be expected to be fearful of travelling to other places and experience the same dreadful symptoms that I experience at home. This is “3rd world” stuff, and surely we’re better than that, we should be able to look after each and every one of our citizens, equally and without bias. I pay my taxes and I expect something in return. I expect to be treated with respect and compassion regarding this wind farm problem and not live in fear for my health and safety and wellbeing. It’s about time politicians stopped playing politics and the popularity stakes and DO something about this wind farm problem. I would like confirmation and receipt of this formal complaint please.